Degenerative myopia deserves our recognition as one of the truly neglected areas of ophthalmology. It is reported to be the seventh ranking cause of legal blindness in the United Sates of America the fourth ranking cause in Hong Kong and the second in parts of China and Japan. Degenerative myopia is an important world-health issue with an unfortunate history of ineffectual treatments that have led most eye specialists to believe that it is something of a “lost cause.” As a result, this condition, which is responsible for the loss of vision in so many people during the middle years of life and in old age, seems destined to run its natural course, save for attention to correction of the refractive error and the treatment of some of its other complications. To summarize the course of this condition: It presents for the majority of people, as an inherited genetic condition. This is why the incidence of this condition varies so much between the various ethnic groups. The genetic defects responsible may be transmitted between the generations in a variety of ways, and may produce very different degrees of myopia in different family members. An affected individual will show accelerated growth of the size of the eye during the normal growth-periods of childhood and adolescence, so that, by the late teens, or the early twenties, the eye is much longer than normal. The eye is said to have high axial myopia (nearsightedness). Distant objects are focused in front of its retina and are thus out of focus. If objects are brought close to the eye, a point is reached when they come into focus. This is known as the far point of the eye. The de-focusing of the retinal image may be corrected by spectacle lenses, contact lenses or by refractive surgery. In all of these cases, the distant object appears to the eye to be situated at its far point and is therefore in focus on the retina. Unfortunately, this form of myopia frequently progresses in adult life, with small intermittent steps of elongation being observable at any age. The adult progression appears to be due to the stretching of the walls of the eye. Genetically weak elements of the scleral wall are prone to thinning and stretching. One of the major forces at work in this stretching process appears to be the normal intra-ocular pressure. Much of the sight loss in high axial myopia is thought to be due to the damaging effects of the stretching and thinning of the inner parts of the eye. The sclera, the choroid, the retina and the interface between the retina and the vitreous gel are all affected by deformation. In the central retina, damage to the functioning of the macula results in fine central-vision loss. This process of macular scarring is termed myopic macular degeneration. Stresses in the retina and the adjacent parts of the vitreous gel are also partly responsible for a predisposition to peripheral retinal tears, which may go on to admit vitreous fluid into the sub-retinal space, producing retinal detachment. Highly myopic eyes are also liable to loss vision from cataract and glaucoma. They have an increased vulnerability to the damage effects of eye trauma, which must include the higher incidence of complications in some ophthalmic surgical procedures. Of all of these sight-threatening complications, myopic macular degeneration is the most common. It is because of these degenerative complications, that this disorder is called degenerative myopia. Early attempts to protect the macula from the damaging effects of stretching, involved surgical procedures to reinforce the thinned weak sclera at the back of the eye. It had been observed that a bulge (a staphyloma) could often be observed behind the macula. This very severe localized scleral thinning results in especially severe stretching of the inner layers in the region of the macula and especially severe damage to its tissues. Various natural materials had been used for staphyloma support, but it was donor-sclera that was finally selected for by most surgeons. Today, the results of these various early operations are difficult to assess, in terms of their safety and their effectiveness. 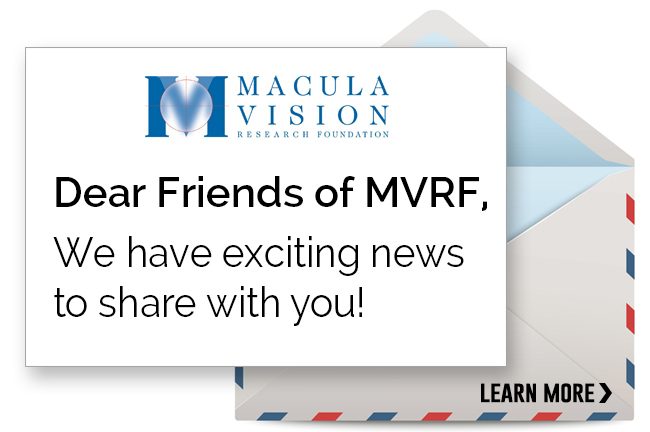 In the U.S.A. two prominent groups advocated scleral reinforcement for degenerative myopia. Dr Brian Curtin lead the effort in New York, while a California-based group of surgeons used rather different procedures. The “West Coast” approach evolved from pioneering work by Borley and Snyder at the Stanford medical campus in San Francisco. Curtin tried different approaches before finally concluding that these had been ineffective, and noting some significant complications in some of their cases. Meanwhile, on the West Coast, Snyder, Thompson and Miller continued to develop their surgical approaches to scleral reinforcement, with no reports of adverse safety issues. These surgeons had a firm conviction that they were stabilizing axial myopia progression through their efforts. It is unfortunate that their published reports are somewhat anecdotal and lack any controlled studies. Perhaps because of the widespread disappointment with Curtin’s conclusions, and the lack of controlled studies on other techniques, the interest in surgical treatments was largely lost. Personal experience with Thompson’s technique had showed it to be safe, and a pilot study indicated an encouraging degree of axial myopia control when compared to its progression in the unsupported eyes. Thompson’s basic approach of “scleral reinforcement” was found to become more effective when the concept was extended to one of the buckling of the posterior pole of the eye, by providing a firm structural connection between the thin weak sclera at the back of the eye and the thicker tissue at the front of the globe. A gently tensioned sling was positioned over the back of the eye, under general anesthesia, and its ends were firmly anchored to the thick sclera in the anterior part of the globe. With this approach, adult eyes showed more stability of their axial myopia and, unexpectedly, some patients reported small subjective improvements in their quality of vision. In retrospect, there are some theoretical reasons why some small vision improvement might have occurred in some patients. In collaboration with Prof. Elena P. Tarutta, of Moscow, a clinical study was designed to follow and to evaluate buckled and unbuckled eyes for a period of five years. Fellow eyes, with similar degrees of high myopia, were designated as the control eyes, and followed according to the same protocol. The majority of the 59 buckled adult eyes showed stabilization of their axial myopia. The five-year follow up data illustrated this fact and also confirmed that a limited visual acuity improvement had occurred after buckling in some eyes. The relative stability after surgery meant that it became appropriate to offer the treatment for the patient’s second eye during the study period; especially where a clear increase in axial length was evident in the control eye. Parts of this study were presented at the International Myopia Conference in Singapore in August of 2006. It is the first study to show good safety of a procedure and a statistically significant efficacy in terms of axial myopia control. In the study, reported after its conclusion in 2009, it was found that one of the treated eyes had had a form of myopic macular schisis and local traction detachment. Post-operatively, this complication was found to have been corrected (incidentally). The basic buckling surgical procedure has now been modified for the optimal treatment of this new indication– myopic macular schisis. The effectiveness of buckling for treating existing macular schisis suggests that the buckles being applied for axial myopia control might well serve to prevent the development of macular schisis and detachments. Today the indication for buckling surgery, in cases of Degenerative Myopia, is the risk of further axial extension in an eye, which is at least 26mm in axial length, at almost any age. The measurement of 26mm is used, as it is the threshold axial length for the development of myopic macular degeneration. The refractive error present may be as little as -6.00 diopters, but it is generally much greater. The risk of Macular degeneration increased with both the passage of time (i.e. the age of the patient) and with the magnitude of the axial length of the eye. Buckling adult eyes can stabilize axial length and minimize future macular degeneration, but it cannot prevent the continuation of degenerative processes, which are already at work. The appropriateness of buckling surgery for high axial myopia should be considered on a case-by-case basis. Degenerative myopia may be preventable in the future. Today, however, the usual treatments are limited to optical correction, intra-ocular pressure control, and attention to complications that may occur. The use of scleral buckling can prevent axial extension and minimize the toll of myopic macular degeneration on future visual function. At-risk eyes deserve careful evaluation and follow-up, with early treatment where appropriate. New buckling materials are being evaluated for their use in the more severe cases in all age groups. These are eyes in which greater areas of support and stronger buckling forces may be helpful. As always, the safety of any treatment needs to be evaluated in terms of its risk-to-benefit ratio. It should also be remembered that the prevention of axial myopia increase is also of value in stabilizing the power of the required corrective lens. This is especially important where refractive surgical correction is being considered. This benefit of axial myopia stabilization applies equally to ensuring stability of the effectiveness of the intraocular lens implant, following cataract surgery.